The Carpathian rivers became a sweet piece of the "green energy" pie. Zakarpattya region is no exception. Read the full article to know who exactly among local politicians, authorities and businessmen is involved in the power generation on local rivers. The renewable energy production has risen to prominence in the context of the set of energy reforms in Ukraine and is now entirely supported and encouraged by the state. According to the government plan, the proportion of renewable energy in Ukraine by 2020 should be 11%, by 2035 - 25%. The "green tariff" economic mechanism was introduced in the legislative framework in 2009 and remains the cornerstone for the renewable energy development. The Green Tariff is an economic mechanism aimed at encouraging power generation from renewable energy sources. This is the financial incentivization and legislative guarantee component that provides producers with access to the grid, enables long-term electricity procurement contracts, allows the establishment of relatively high electricity supply prices and the bonus for the domestic component use. 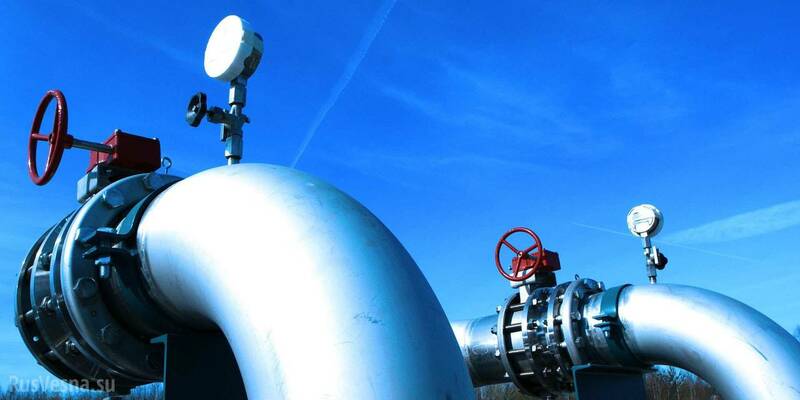 By 2015, the green tariff could only be obtained if the Ukrainian equipment was used in the project. Therefore, with affordable and high-quality equipment for small hydropower plants lacking in Ukraine, only very wealthy businessmen could afford to overcome the bureaucracy and build the facility. Such conditions actually fostered monopolies in the "clean energy" market. Subsequently, in 2015, the green tariff mechanism was linked to the Euro exchange rate till 2030, and the discriminatory "domestic component" provisions turned into incentivizing rather than restrictive mechanism − the local component became a bonus. The surplus is provided in the project for its use: if the domestic equipment component exceeds 50%, then 10% of the surcharge to the tariff is provided, if the proportion is 30%, then the tariff is increased by 5%. In 2018, "green" tariff rates range from 209.66 to 1,509.56 kopecks per 1 kWh. The RES generation forecast by the Ministry of Energy for 2018, excluding large hydroelectric power plants, is 2,030 mln kWh out of the total 159,307 mln kWh, or 1.27% of the total amount of electricity that is planned to be generated. Most of the "green energy" is expected to come from wind and solar power plants, which is 910 and 880 mln kWh, respectively. The rest, 240 mln kWh shall be obtained from other alternative sources, including small hydropower plants. The proportion forecast for 2016 was 1.06%. According to the data of the national regulator (National Energy and Public Utilities Regulation Commission − NEPURC), in 2016 the capacity of installed small hydroelectric power stations amounted to 90.0 MW or 8% of the total capacity of energy producers from RES supplied at the "green tariff". Meanwhile, the installed capacity of wind and solar power plants is several times higher - 437.8 MW or 39%, and 530.9 MW or 48% respectively. Biomass and biogas energy generation units capacity is only 59.1 MW or 5%. At the same time, the share of electricity purchased by the Energorynok SE from the producers of green energy and the share of its sale to power suppliers in 2015, 2016 and 2017 shows a tendency of production increase from all sources, while solar power plants are the most profitable. Comparing the share of electricity generated by small hydropower plants (hereinafter referred to as SHPP) with the proportion of energy generated by wind and solar PPs, we can see that the second and third ones are more economically beneficial for their owners, while their energy turns out to be more expensive for the electricity market. From the environmental point of view, both SHPPs and wind power plants have a certain negative impact on the environment (first ones are detrimental for rivers, their hydrological regime and the fish, the second pose certain risks for birds and bats), while SPPs do not entail obvious harm to the environment. Who's making money on the diversion tube? Today, in Zakarpattya region 9 SHPPs owned by 4 companies are functioning with capacity from 1 to 2.65 MW, as well as 1 mini-HPP with a capacity of 630 kW. Two of them - Onokivtsi and Uzhgorod - were built back in 1937, since then no refurbishments were made and the plants are currently owned by Aquaresursenergo LLC. Others, commissioned from 2006 to 2016, are owned by partnerships and private enterprises, the beneficiaries of which include persons having family affiliations with Zakarpattya politicians or officials. 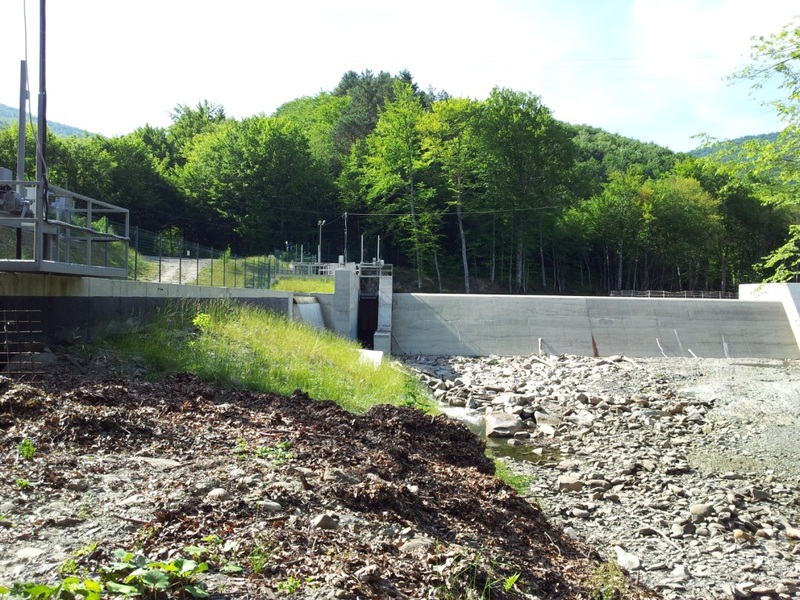 Even before the adoption of the Green Tariff Law, in 2006, a mini-hydroelectric power station was built in Bilyn. In 2011-2014, SHPPs appeared in Krasna, Turya-Polyana, Nyzhniy Bystryi, in 2016 they emerged in Lopukhiv, and in 2017 − in Ruska Mokra. RES generation business requires major investments. Experts say that the average payback time of small hydropower projects is 6-7 years, and the return on investment is estimated at 9-11%. However, there exist faster payback forecasts. 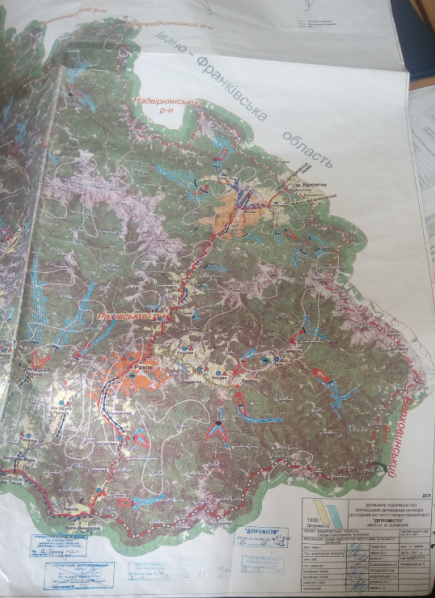 In particular, for a SHPP in Nyzhniy Bystryi town of Zakarpattya oblast such forecast in the Environmental Impact Assessment document developed by Nordik Lviv private enterprise in 2014, was 10 months with the investments of EUR 4.6 mln (https://drive.google.com/open?id=1YbmWBGNRMMleM_7kcyDQQu3MlwdJazjf ,https://drive.google.com/open?id=1KWeUHbqq7UnY7KGWx2TbhD8-mOiH5RXZ ,https://drive.google.com/open?id=1D-xZApTlNXdDhd-clJBFQG_6KvEgtPUa ,https://drive.google.com/open?id=1Evy8k41rSLjLqxc-EcYbSdadgdwGBeS5 ,https://drive.google.com/open?id=12gsj93HTmmRISuUDa8Ezw0MOK0B3Ka21 ). The small hydropower industry in Zakarpattya dates back to 2006 with the construction of a mini-hydropower plant on the Ilmin river in Bilyn, Rakhiv district. 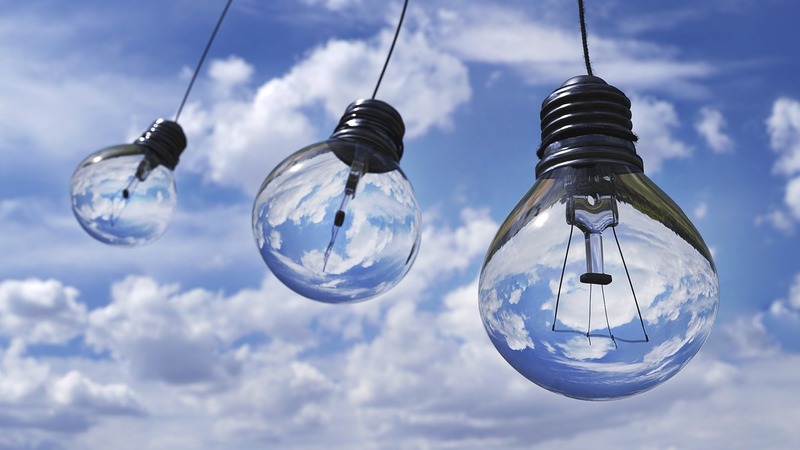 After the introduction of the 2008 Law "On Amendments to Certain Laws of Ukraine on Implementation of the "green tariff", which actually introduced a "green tariff", the production of hydropower "clean energy" attracted local and Ukrainian investors. In 2011, the "Layout for installation of 360 mini-hydroelectric power stations on the mountain rivers of Zakarpattya" was developed and subsequently adopted by the decision of the Zakarpattya Oblast Council in the same year; the arrangement was later tried in court during 2012-2014. The initiator and main developer of this Layout was Viktor Trykur, a deputy of the Zakarpattya Oblast Council (the Yedynyi Tsentr ("The United Center" party) and the Director General of the Zakarpattya Regional Investment Attraction Agency. According to the opinion of the public environmental expert evaluation of 2012 contributed by the leading scientific institutes of the National Academy of Sciences of Ukraine - the Institute of Ecology of the Carpathians, the Schmalhausen Institute of Zoology and the West Ukraine Institute of Sciences, the implementation of this plan had a potential to destroy numerous Carpathian rivers because of interference with their natural hydrological regime; even the rivers outside of the country would have been affected. According to Oksana Stankevych-Volosyanchuk, an ecologist of the civil society organization "Ecosfera" (Uzhgorod), this opinion formed the basis of the decision of the Committee on Environmental Policy, Environmental Management and Elimination of the Consequences of the Chernobyl Disaster of the Verkhovna Rada of Ukraine dated June 6, 2012 "On the Problems of Small Hydropower Plants Construction in the Mountainous Areas". Civil society activists with the participation of the Zakarpattya environmental protection specialists challenged the Oblast Council decision in court and managed to have the abovementioned Layout abolished by courts of two instances: in 2012, by the resolution of the Zakarpattya Circuit Administrative Court, and in 2014 by the ruling of the Lviv Administrative Court of Appeal. Violation of legislation on the state regulatory policy fundamentals. The lawsuit was fully satisfied, however, the Zakarpattya Oblast Council filed an appeal, and already in 2014 the case was considered by the Lviv Administrative Court of Appeal, which decided to leave the decision of the first instance court unchanged. Therefore, the Layout was recognized inappropriate and not being an urban development document, hence, had to be dismissed. However, the "document" continues to exist: in the same 2012 year it was applied as the basis for the development of "Layout of engineering development and protection of the territory of Zakarpattya oblast", which was approved by the urban development and architecture department of the Zakarpattya Oblast State Administration in 2013. 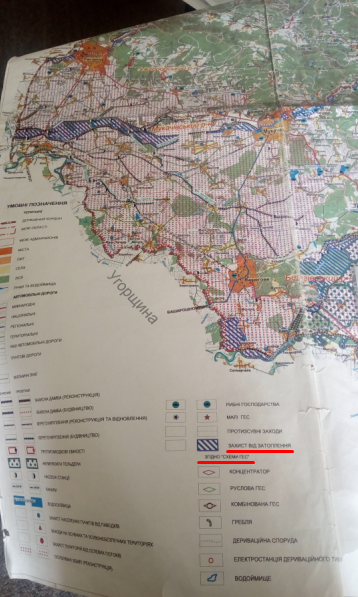 "Layout of engineering development and protection of the territory of Zakarpattya oblast" is a component of the principal urban planning document "Layout of the territory planning of Zakarpattya oblast", regulating the spatial development of Zakarpattya oblast areas. That is why the places for construction are so effortlessly determined and new small and mini-hydroelectric power plants are being built on the rivers of the region – that's the essence of a corrupt plot schemed by the former government. Generation of "clean energy" from solar and small hydroelectric power plants is a business linking representatives of three families well-known in Zakarpattya: the Andriyivs, the Kovachs and the Ledydas. Companies and private companies registered on the names of their relatives are bundled in the RENER energy companies group and include Green Technology LLC (SHPP on the Shypit river in Turya-Polyana village, Perechyn district), Rener LLC (SHPP on the Yanovets river in Ruska Mokra village of Tyachiv district, PE Altener (SHPP on the Brusturyanka river in Lopukhovo village, Tyachiv district), PE Ukrelectrobud (SHPP on the Krasnoshurka River in Krasna village of Tyachiv district) and PE Komertskonsult (SHPP on the Shypit river in Turya-Polyana village, Perechyn district) that specialize in hydropower generation. According to the used data of Uniform State Register of Enterprises and Organizations of Ukraine, Olga Gavashi and Yaryna Kovach are registered as the beneficiaries of the private enterprise Ukrelectrobud. The first one is the wife of "Nasha Ukraina" party member Oleh Gavashi, chairman of the Zakarpattya Oblast State Administration in 2005-2010. The second one is the wife of the son of Vasyl Kovach, a former MP of Ukraine of the seventh convocation nominated from the Party of Regions, who had been the Director of Zakarpattyaoblenergo from 1998 to 2012. Beneficiaries of the PP Komertskonsult are Yaryna Kovach and Tetyana Ledyda, wife of Oleksandr Ledyda, Chairman of the Zakarpattya Oblast State Administration in 2010-2014, MP of the seventh convocation from the Party of Regions. Now Oleksandr Ledyda represents the "Opposition Bloc" in the Zakarpattya Oblast Council. The revenues of PE Altener flow to Serhiy Kovach, the son of the abovementioned Vasyl Kovach, and the Andriyiv family: Andriy Andriyiv, the Oblast Council deputy of the fifth, sixth and seventh convocations (during his political career he changed his party affiliation from "Nasha Ukraina" to the Party of Regions - ed.) and his daughter Vlada Andriyiv, the wife of Bohdan Andriyiv, the mayor of Uzhgorod. The founders and beneficiaries of Green Technology LLC are Andriy Andriyiv, Vlada Andriyiv and Serhiy Kovach. Two daughters of Oleksandr Ledyda – Oleksandra Ledyda-Pavliuk and Kateryna Hembik are also listed among company founders. Rener LLC is owned by Serhiy Kovach. He is the director, founder and beneficiary of the legal entity. Andrey Hanzel, the brother of the chief architect of the Chop city, manages the private enterprise Komertskonsult PE. Moreover, he is the director of Solar Energy Plus LLC, which is also a part of the RENER group and operates two solar power plants: SPP-1, SPP-2. Svitlana Lyzanets is indicated as a formal director of Green Technology LLC and Altener LLC; she is associated with Serhiy Kovach for as long as since 2012, and at that time worked at PJSC Zakarpatoblenergo. She is also registered as the owner of Euroimex LLC, which operates the solar power plant "SPP-3". 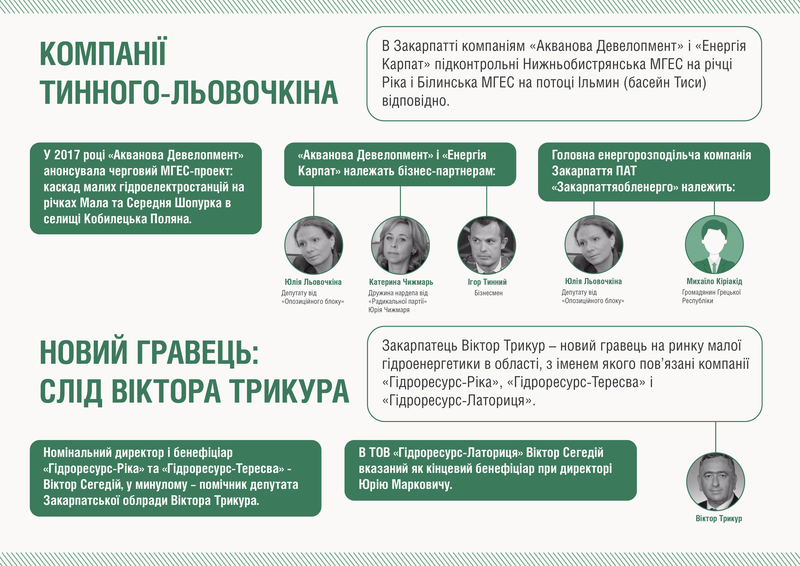 Aquanova Development company and Energy of the Carpathians LLC are owned by the group of business partners ̶ the Opposition Bloc MP Yuliya Lyovochkina, the wife of a Zakarpattya native Yuri Chyzhmar, a MP from the Radical Party, Kateryna Chyzhmar, and the businessman Ihor Tynnyi. Both entities have foreign companies among their founders: Idroenergo S.R.L. in Aquanova Development and Mizonio Holdings Limited in the Energy of the Carpathians LLC. They operate two HPPs – Nyzhniy Bystryi HPP on the Rika river and Bilyn HPP on the Ilmin river (Tisa basin), respectively. According to the NEPURC (the regulator) website data, Energy of the Carpathians LLC operates two small hydropower plants - the Yaniv HPP on the Seret river (Dolyna village, Ternopil oblast) and Shchedrivsk SHPP on the Southern Buh (Letychiv settlement, Khmelnytskyi oblast). Ihor Tynnyi, a Kyiv businessman running a number of restaurants, owner of more than thirty enterprises and organizations, the majority of which is engaged in energy production, had been the second largest investor in small hydropower plants in 2015. He is also the owner of the power holding Hydroenergoinvest-Aquanova. The holding company includes Aquanova Hydroresurs LLC, whose solar power plant is built in the Tabla grove near Kamyanytsia village of Uzhgorod district. In 2012 Energetychna Ukraina TV LLC, owned by the Austrian company OMBRI Electrical Energy Holding GmbH and associated with Mr. Tynnyi, acquired a major stake (50%) of Zakarpatoblenergo PJSC for UAH 140.7 mln. In 2014, the State Property Fund of Ukraine presented another 25% of the Zakarpattya power distribution company for sale, which was acquired by the Stock Company Favoryt LLC for UAH 255 mln. This enterprise is also associated with Tynnyi and Lyovochkin’s businesses. Today Yuliya Lyovochkina and the Greek citizen Mikhail Kiriakidi are the final beneficiaries of Zakarpattyaoblenergo PJSC. In Zakarpattya Bohdan Kyniv, the former assistant of the MP Yuriy Chyzhmar, represents the interests of the Tynnyi-Lyovochkin-Chyzhmar partnership companies. In the summer of 2017, public hearings were held in Velykyi Bychkiv and Kobyletska Polyana villages, Rakhiv district about the development of the SHPP cascade on the mountain river Shopurka. The village communities approved the projects proposed by Alternative Electric company and the already mentioned Aquanova Development LLC during these public hearings. The fact that the Aquanova Development website announced yet another SHPP project: "Shopurka" on the rivers Mala Shopurka and Serednya Shopurka in the Kobyletska Polyana village, Rakhiv district, gives further grounds to assume that Mr. Tynnyi has business interests in the matter. Considering that the project title indicates two rivers - Mala Shopurka and Serednya Shopurka, this may be a cascade of several small hydropower stations. One more Zakarpattya local, whose name is associated with small hydropower plants in Zakarpattya, is the already mentioned Viktor Trykur, who in 2011 was one of the developers of "Layout for installation of 360 mini-hydroelectric power stations on the mountain rivers of Zakarpattya". He was also one of the key persons allegedly involved in the scandal related to the appropriation of EU grant funds for the reconstruction of the “Owl’s Nest” national architectural monument in Uzhgorod. Viktor Trykur attended public hearings in Khust and Tyachiv districts, as well as in the city of Mukachevo, conducted by Hydroresurs-Rika LLC, Rika Energo LLC, Hydroresurs-Teresva LLC and Hydroresurs-Latorytsya LLC. Viktor Sehediy, a former assistant to the deputy of the Zakarpattya Oblast Council of the sixth convocation Viktor Trykur, is registered as a formal director of Hydroresurs-Rika and Hydroresurs-Teresva companies. Furthermore, Viktor Sehediy is listed already as the final beneficiary at Hydroresurs-Latorytsya LLC managed by Yuriy Markovych. Another developer - Rika Energo LLC - is registered on Ivan Kudryavtsev and Olena Kudryavtseva. Although their names are not directly traced to Trykur, the fact that the same lawyer had been representing interests of Rika-Energy and Hydroresurs-Rika during the litigation with the Khust district communities and Zakarpattya Oblast State Administration, may indicate that these companies are linked by joint interests. Developing "green energy" in Transcarpathia, owners of small hydropower plants apply widespread schemes of registering business entities on the names of their relatives or false owners, engage offshore companies, misuse their political influence and affiliations. Instead, a process that must be public and involve dialogue with local communities, goes on amid protests and gets resolved by courts. Often, the true price of exchanging the river well-being for the sponsorship offered by investors is revealed only when the water body has already suffered irreversible consequences. When an investor deploys a small hydropower project in the community, they, as a rule, promise the local villagers to ensure infrastructure development, provide free electricity, additional jobs and replenish local budgets. The construction process itself, from public hearings on detailed plans to the commissioning of the plant, should ensure the highest level of public transparency, since the plant's influence on the river is not limited to one village, but affects entire districts. Ecologists of the region have been complaining about the lack of transparency both in the process and in the environmental documentation of the project for more than 10 years (the first plant was built in 2006 - ed. ), in particular, about the lack of publicly disclosed environmental impact assessment and its public hearings. Thus, they can only observe the change of the river condition after the installation of a small hydropower plant on it; and often their conclusions are negative. By the end of 2017 investors had only to approve a detailed layout for future construction site through a public hearings process and wait for the allocation of land plot by the decision of the village council session in order to begin the design process. One of the project design components - Environmental Impact Assessment (EIA) - also had to be presented at public hearings and public discussion. After all approvals, the project documentation was subject to an environmental impact review (according to the Law, the design documentation for private investment had to be assessed by a private company or private expert - Ed.). Upon assessment they were free to start construction. Developers of SHP plants in Zakarpattya had been skipping the procedure of EIA public hearings for some reason. An example is the already mentioned Nyzhniy Bystryi SHPP, for which, according to independent ecologists and experts from the Oblast Department of Ecology, such procedures were not carried out. "The investor would always prefer to conceal the environmental impact assessment, as the key environmental document in the design documentation, from third parties. 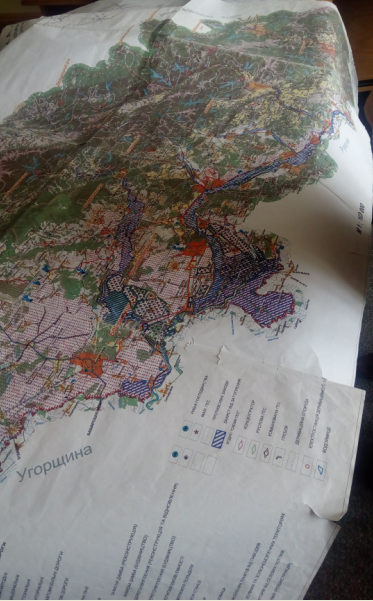 The EIA of the Nyzhniy Bystryi SHPP is the only case when this document became public, but it happened completely by accident and through our own sources", says ecologist Oksana Stankevych-Volosyanchuk. In accordance with the requirements of the State Construction Standards A.2.2-1-2003, "Environmental Impact Assessment" should include a detailed analysis of possible negative environmental impacts, as well as alternative scenarios of design modifications to minimize such impacts. When the document is developed by an inexperienced specialist, the adverse effects and their consequences may be underestimated or omitted. One such example is the case of an EIA for the Nyzhniy Bystryi SHPP. "Of course, the document itself is not made public, and neither local communities nor ecology and environmental protection experts have the opportunity to read this document and make their comments or suggestions. As a result, such projects bring forth considerable damage to the environment", the specialist explains. Neither the requests of independent environmentalists nor enquiries of journalists managed to obtain copies of the EIA document and the minutes of its public hearings from the village council of Nyzhniy Bystryi or Aquanova Development LLC. The environmental law expert of the International Charitable Organization "Environment-People-Law" Sofiya Shutyak explains that EIA is the public information subject to disclosure. Failure to provide the document entails administrative liability. "You may opt for a more radical method and file a claim to the court demanding the provision of the requested information. That is, if the planned activity is harmful to the environment and there are doubts as for the proper preparation of EIA, one can challenge such activity in court. Likewise, you can demand the provision of existing EIAs through the court, referring to the Law of Ukraine "On Information", "On Public Information" and to the Aarhus Convention", the lawyer explains. On December 18, 2017, the Law "On Environmental Impact Assessment" was enacted, therefore, all potential developers should receive an opinion on the environmental impact assessment, instead of the conclusion of the state environmental review. It also introduces the establishment of the Uniform Register for Environmental Impact Assessments. The new Law, which abolishes environmental review, provides a more rigorous framework in environmental legislation. Thus, the developer must confirm to the local department of ecology its compliance with publicity procedures and public access to environmental impact assessment; any construction work may not be started before obtaining a final opinion from the Ministry of Environmental Protection or the regional department of ecology; and violation of the procedure for conducting an environmental impact assessment or failure to comply with the requirements of the Law entails the cancellation of the conclusion and forms the grounds for a lawsuit. Therefore, since the end of 2017, the environmental impact assessment opinion became mandatory for obtaining a permit for the construction of small hydropower plants (or SHPPs) with capacity from 1 to 30 MW, mini-HPPs - with capacity from 100 to 1000 kW, micro-HPPs – with the capacity not more than 100 kW. Revenues and environment: what did the local communities trade their rivers for? To verify such information, the inquiries were sent to local councils of Zakarpattya villages, where small hydropower stations are located. Information was requested about the existence of an investment agreement or a cooperation agreement between communities and companies, as well as a request to indicate the amounts of taxes paid by these companies to the village budget. The same requests were also sent to the owners of the SHPPs. In the Bilyn village or the Rakhiv district, a mini-HPP with a capacity of 630 kW operates on the Ilmin river (Tisa basin). The object was commissioned in 2006 and is owned by Energy of the Carpathians LLC. In 2017, the mini-HPP generated 3.643 mln kWh. The "green tariff" rate from January 1, 2018 is 377.39 cop./KWh. In response to the information inquiry sent to the Bilyn village council, we were informed that a land lease agreement was signed with the Energy of the Carpathians LLC, according to which UAH 36,077.96 was paid for land lease in 2017. There are no other agreements or arrangements, the entrepreneurs only provide some sponsor aid. Energy of the Carpathians LLC did not provide any answer whatsoever. It is now known that the project of this hydropower plant was not coordinated with the former Zakarpattya regional water management authority (now the Tisa River Water Resources Management Department) and the Main State Administration for the Protection, Use and Restoration of Aquatic Biological Resources and Fishing Regulation in Zakarpattya oblast. "No one among the public has seen the EIA of this mini-HPP, as required by law", says ecologist Oksana Stankevych-Volosyanchuk. "However, in 2012, due to non-compliance with the requirements of the Ukrainian environment protection legislation, the former Chairman of the State Agency of Environmental Protection in Zakarpattya oblast Andriy Pogorielov withdrew the opinion of the state environmental review on the working project of the HPP construction. However, it was a political rather that a practical move, because there are no procedures for withdrawing the already provided opinions". Even in high water periods there is practically no water in the stream lower than the dam, almost all of it is diverted to the turbine to ensure at least the minimum output of the object. SHPPs "Shypit-1"(Komertskonsult PE) and "Shypit-2" (Green Technology LLC) is a cascade of hydropower plants built on the Shypit river in Turya Polyana village, Perechyn district. The first, with a capacity of 1.02 MW, was commissioned in March 2012 and has an expected annual output of 4.3 mln kWh. The second has a capacity of 999.0 kW and was launched in September 2014 with an expected annual output of 4.7 mln kWh. By 2017, the small hydropower plants Shypit-1 and Shypit-2 generated 3.491 mln kWh and 5.312 mln kWh, respectively. The "green tariff" rate for Shypit-1 plant is 377.39 cop./KWh, for Shypit-2 - 503.19 cop./KWh. The Turya Polyana village council informed (https://drive.google.com/open?id=1prdKkLHez55iNs0up74C6H1dxovkmqJH , https://drive.google.com/open?id=1qOr6S73bNqmk7kW_TTn1cNUmFw5nS_k9 ), that the lease agreement was signed between the community and PE Komertskonsult, envisaging the cooperation conditions. This agreement was also confirmed by the letter of guarantee from the Green Technology LLC to the village council. From 2013 to the first semester of 2017 the companies paid land rental fee and land tax amounting to UAH 256,768 to the local budget. The fish pass on this SHPP was built only in 2014, prior to that the plant worked without a fish pass and fish migration along the river was impossible. "Even now migrating fish is not always able to move up the river to spawn, because the water volume in the natural riverbed is often twice less than the amount of water flowing out of diversion pipes and turbines. In some periods, the natural riverbed is just a little moistened", says the ecologist of the "Ecosfera" organization Oksana Stankevych-Volosyanchuk. During the construction of the plant in 2012, at the stage of environmental impact assessment, the ichthyologists of the Main State Administration for the Protection, Use and Restoration of Aquatic Biological Resources and Fishing Regulation in Zakarpattya oblast warned that running of this SHPP will almost completely wipe out the fish productivity of the Shypit river or some of its sections. Specialists noted that due to the hydrological regime change, European grayling and trout, which had been common local species prior to the power plant construction, will have no possibility to reproduce and gradually become extinct in the river. "I was there this summer. Before the SHPP construction I also had been fishing there several times. In short, the fish is depleted drastically. Regarding fish passes, the "Shypit-1" is the best fish chute among all Zakarpattya SHPPs. At the same time, the fish pass on "Shypit-2" is somewhat weird. It is not clear how the fish can use it". "I have few remarks as for the SHPP itself: the "Grizzly" water intake system prevents living organisms from entering the diversion pipe, the dam is of the overflow type, the water reservoir is almost nonexistent − it looks like a quiet stone-trimmed pond, the fish pass is a ladder-type one. However, the matter of the spawning remains urgent – we do not know whether the fish is able to actually use the fish pass and what percentage of it does that". RENER company owning the Komertskonsult PE and Green Technology LLC, reported that they regularly introduce the trout hatchlings in the river. However, the population of European grayling, which is included in the Red Book of Ukraine, is decreasing annually. According to ecologists, there are no farms in Ukraine that artificially breed this species of fish. The hydroelectric power plant was built in the Krasna village of Tyachiv district on the Krasnoshurka river. The facility with a capacity of 1.16 MW was commissioned in two stages: an 800 kW unit in January 2011 and a 360 kW unit in July 2013. The expected annual output is 4.0 mln kWh. For 2017, the SHPP generated 3,727 mln kWh of electricity. The "green tariff" rate starting from July 2017 is set at 377.39 cop./KWh. The plant is owned by Ukrelectrobud PE. The Krasna village council informed (https://drive.google.com/open?id=1V5hRszXbqp6XR6uW2wGjs2c3hYyDJtpj , https://drive.google.com/open?id=1fhF7-fNUN-900uVzlx0i0qdhZ64q2QYX ), that Ukrelektrobud PE for the period from 2011 to 2013 paid UAH 128,803 to the local budget, thus discharging its financial obligations under the share participation agreement. From 2016 to 2017, the enterprise paid a land tax of UAH 26,072, and monthly tax on incomes of individuals working at the SHPP is paid to the village council, amounting to about UAH 3,535. According to ecologist Oksana Stankevych-Volosyanchuk, Krasna SHPP was built and commissioned in 2011 by Ukrelectrobud PE without the environmental impact assessment procedure, the state environmental review and without the approval of the Zakarpattya Oblast Water Management Department and the Main State Administration for the Protection, Use and Restoration of Aquatic Biological Resources and Fishing Regulation in Zakarpattya oblast. According to the ecologists, the fish pass in the dam fails to fulfill its function of letting the fish go through the dam during migration. Therefore, the Krasnoshurka River, once a reference habitat for salmon species of fish, today is unsuitable for their existence. No stream trout, nor European grayling, nor Danube salmon are spawning anymore. Moreover, the beavers appeared on Krasnoshurka, which is quite unusual for a mountain river. «The beavers, which settled in the reservoir above the dam, and the cattail, which always appears on ponds, swamps, lakes and sluggish lowland rivers are the indicators of the ecosystem degradation», the ecologist of the Ecosfera CSO says. The SHPP is located in the village of Lopukhiv, Tyachiv district, on the Brusturyanka river. The facility with a capacity of 996.0 kW was put into operation in August 2016. Expected annual output is 5.2 mln kWh. In 2017, a small hydropower plant produced 5.759 mln kWh of electricity. The "green tariff" rate starting from January 1, 2018 is set at 452.52 cop./KWh. The owner of the plant is Altener LLC. In response to the information inquiry Lopukhiv village council provided a copy of the cooperation agreement and indicated that UAH 8,770 was paid to the community budget in 2016 and UAH 5,528 − in 2017 (https://drive.google.com/open?id=1hNdiRsdXmSft_f_zrmj_lKHcVdkEPIyP , https://drive.google.com/open?id=196-EKiH973E0Ss0je5v_zGLYHLtrsU8p ). The Brusturyanka River, on which the power plant is built, is the tributary of the natural conservation area of Teresva River. The section of Teresva from Ust-Chorna to Krasna villages is protected as the Ust-Chorna ichthyologic reserve, and since 2016 the whole Teresva River along with the tributaries was included in the Emerald Network of Ukraine, a component of the pan-European Network of Protected Areas. This is a spawning place of the stream trout and the Red Book species European grayling, and is considered to be a reference habitat for salmon species. According to ecologists, Lopukhiv SHPP is designed satisfactorily: the reservoir is small here, the fish chute is of the tray type, being wide enough for passage of trout and grayling. However, some issues regarding the effectiveness of the fish pass remain outstanding: is it not known whether there is enough water in the riverbed during the dry periods of the year. In turn, RENER, as an umbrella company for owners of small hydropower plants in Turya-Polyana, Krasna and Lopukhiv, reported that cooperation agreements are concluded and signed with all communities where their power generating facilities are located, the copies of such documents are available at the village councils. Public Relations Officer Yuriy Sas noted that the company undertakes to comply with the contractual provisions from the construction start and until the facility commissioning, however, as a rule, more than 80% of the commitments, including verbal promises and arrangements, are already implemented prior to the construction launch. Do small HPPs in Zakarpattya have a future? Currently, the communities of Khust district, that is inhabitants of the villages of Berezovo, Horinchovo, Koshelevo and Lypcha, continue their struggle against the developers of small hydropower plants in the Rika river valley. At the end of 2017, the Lviv Administrative Court of Appeal dismissed the appeal of Hydroresurs-Rika LLC and Rika Energo LLC, upholding the decision of the Zakarpattya Circuit Administrative Court, which rejected the claim of the mini-HPP developers to cancel the Order of the Chairman of the Zakarpattya Oblast State Administration Hennadiy Moskal. Nevertheless, in early 2018 investors filed a cassation appeal to the Supreme Court of Ukraine, which ruled to initiate proceedings under the claim. In the culmination of the struggle against developers, in summer 2017, the Chairman of the Zakarpattya Oblast State Administration adopted a political decision supporting the opponents of the construction of small hydropower stations: he issued an order to cancel the decrees of the Chairman of Khust District State Administrations for the development of design documentation for future HPPs. In Tyachiv District, where Hydroresurs-Teresva developer was planning to install a cascade of small hydropower plants on the Teresva River in the villages of Bedevlya, Bilovartsi, Hanychi and Kalyny, the developer held public hearings only in Bilovartsi, where the community did not support the construction of the plant. The hearing in Bedevlya was invalidated as a result of numerous violations, and in Hanychi and Kalyny the community meeting was qualified as a village meeting. At the last meeting of the urban development council of Tyachiv District State Administration in December 2017, the communities of the villages in question rejected the project implementation to the developer. Zakarpattya ecologists sent a letter to the Ministry of Environmental Protection requesting to express its position on the SHPP installation on the Teresva River. This river, like Rika river, is the component of the Emerald Network of Europe and is protected by the Berne Convention. The response from the Ministry states that the installation of small hydropower plants on the Teresva River could have major detrimental impact on its natural state, and emphasizes the need to comply with Ukrainian and European legislation in the construction of similar facilities. However, on Brusturyanka another river in Tyachiv district, in Ust-Chorna village, the works commenced on riverbed clearing for the construction of a new hydropower station. Public hearings in this village were held back in 2016, but construction work began only in late 2017. According to the head of the village of Ust-Chorna, Petro Kostyak, the developer agreed all the documents with him, therefore, now we are waiting for a copy of these documents, including the minutes of public hearings of the EIA, in response to the information request. When this SHPP is built, it will become the second one on the mountain river Brusturyanka, where the Lopukhiv SHPP is already installed upstream. Moreover, in Mukachevo, Mayor Andriy Baloha, obeying the citizens' demands, canceled the results of the fake public hearings on the development of a detailed plan of the territory along Latorytsya river for the installation of mini-HPPs, which were attended only by representatives of the city executive committee and utility supply enterprises. It is known that he announced his intention to organize another public hearings, as well as a local referendum on this matter in 2018. The text if prepared within the framework of the USAID Transparent Energy project. The author's opinion may not reflect the positions of the United States Agency for International Development and DiXi Group Think Tank. Disclaimer in case of re-printing is obligatory.